Like Thomas Dowse, Tobias Alston is remembered for the records he left of his reading. 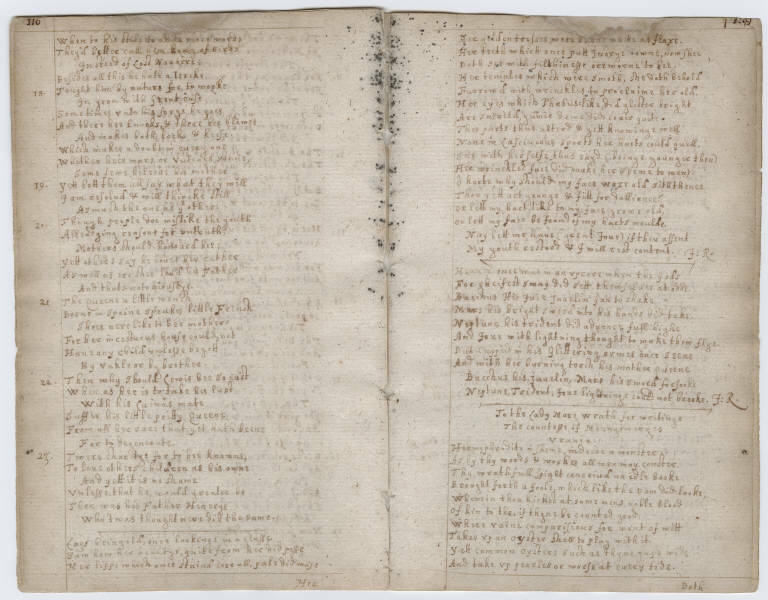 The Alston manuscript, another commonplace book in the Beinecke Library’s Osborn collection, anthologizes many names in the canon of seventeenth century poets, Thomas Carew, John Donne, Ben Jonson, and Michael Drayton among them. 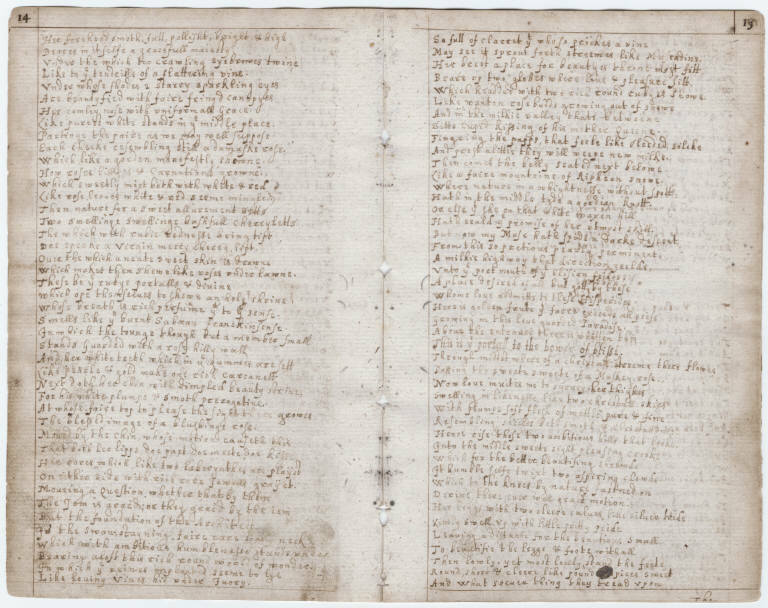 Alston’s manuscript has been traced to the tail end of the 1640s, a moment of intense poetic energy–the lyric was taking off as a native genre–and political strife–England’s civil war was just beyond the horizon. 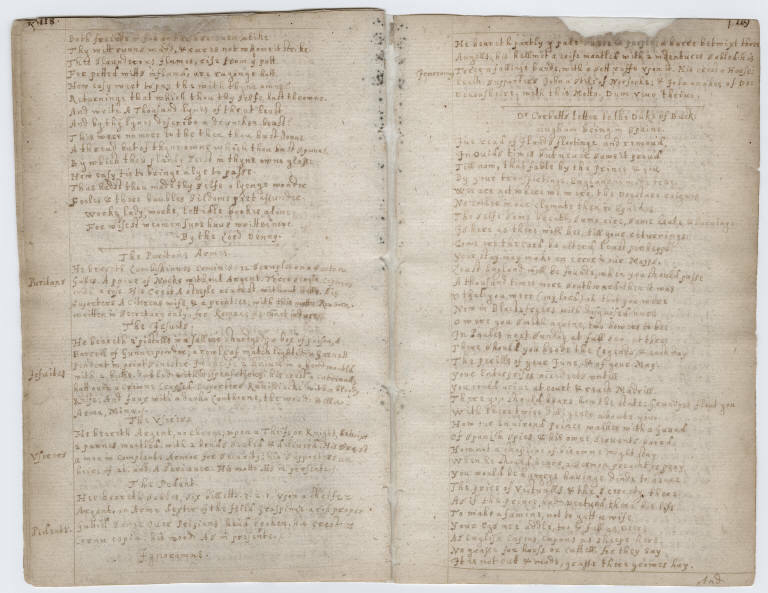 Like the anonymous reader of the other Osborn manuscript we have looked at, Alston read widely, and there is something historically instructive to such readerly breadth. 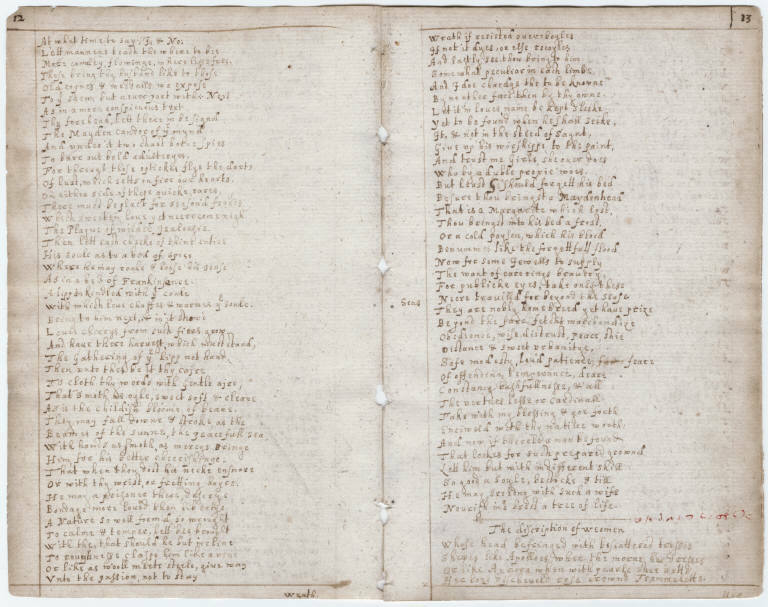 Even as Alston found many of England’s great seventeenth century poets worthy of his personal transcription, he fostered a similar relationship to less elevated, less traditionally “literary” poems as well. Cropping up here and there next to Jonson and Donne are several bawdier poems, which remind us of how the high culture associations of poetry today had not quite solidified, in the seventeenth century, to the extent they have now.